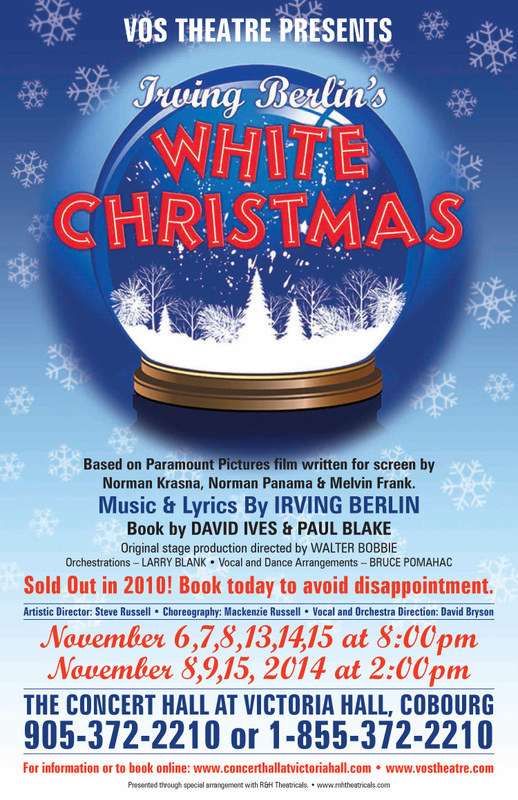 Presenting… the cast of White Christmas! Other supporting roles will be announced in the coming days. 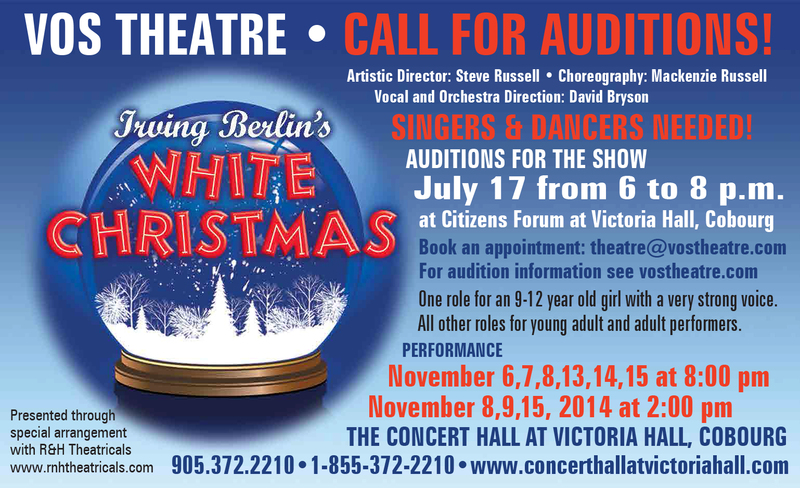 Auditions for the November 2014 Production of White Christmas are July 17. Email theatre@vostheatre.com to book yours today! VOS President Joel Varty and Board Member Marlena Sculthorpe announce the 2014-2015 Season. Due to circumstances beyond our control, our production of Young Frankenstein has been postponed to a future date. All ticket holders will be contacted right away. Please stay tuned to our website for our full announcement of the 2014-2015 season.